Utilizamos cookies propias y de terceros para ofrecerle una mejor experiencia de navegación. Si continúa navegando, consideramos que acepta su uso. Puede cambiar la configuración u obtener más información aquí. Loro Camp distributes to Europe only birds from Loro Parque Fundación. Appropriate facilities and specialised team guarantee your bird to arrive from Tenerife Island to anywhere in Europe in best conditions. 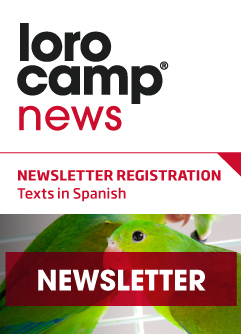 Loro Camp Project only makes sense offering maximum guarantees for animals and their owners. If you are interested in some particular species or subspecies and you don't find it in our search engine, show us your interest and we will find it for you. Birds, the environment where they live, their behaviour and appearance can be observed in your computer. Just contact us and ask for it. 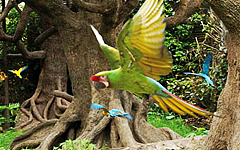 A section dedicated to the parrots that we like for different reasons: history, appearance, behaviour, curiosities... Let's dig deeper our favourite species.